Yeah, I know, it's been a while. Not posting should not imply a lack of not thinking or learning. I'm learning much (still) these days. So the picture on the mast of this blog is still one with tree branches covered with snow. Yes, I know that it's August 5th. I've not changed it due to time and perhaps some sloth. But I've been thinking lately about how I can't stand summer. Really. I mean, yes, I enjoy some aspects...but I dislike it more than than I like it. Mid- to late-Fall is where it's at. Early spring too. Call me abnormal. I'm okay with that. 1. The heat. I really can't complain so much this summer. It's been mostly beautiful. We've had perhaps a collective week over 85 degrees. So this isn't so much a complaint this year. But I hate it when it's hot. I don't like sweating. Even more, I don't like more sweating at night when I should be sleeping comfortably. And for some reason...I feel badly when we run our ACs. We kept them out until late July this year, so that was nice, but since I've put them in I feel like I'm slipping dollar bills out into the humid air. Society. I feel like I don't fit in much of the time. 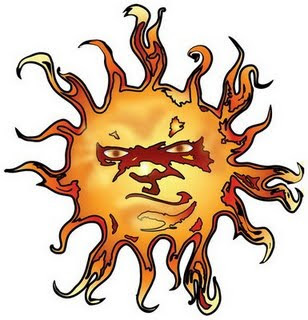 I've driven by Nantasket Beach (and other beaches) several times on "nice" summer days this year, seen the thousands of people having a great time. I don't fit in there. All I can think of at the beach on these kind of days is sticky sand, scratchy salt water, and dirty, oily trash. I love the beach...but mostly before 7:00 AM or after 7:00 PM. I love to go and sit at "The Gut" at the tip of Hull and watch the busyness of the boats and Boston. I feel like I'm so close yet so far away when I'm there. But as for a crowded, hot beach on a hot summer's day: not for me. In addition, it seems like society is more willing to be stupid in the summer. Inconducive to community. I think the biggest annoyance about summer for me is that our church community is very difficult to keep together. Seems like half of everyone is gone every week. It makes it really difficult to be a community, and it greatly frustrates me. North Street is a great group of people. We've been here almost three and a half years now and we continue to wrestle with the notion of daily Christian community. This continues to be the intense prayer and desire for Meghan and I. 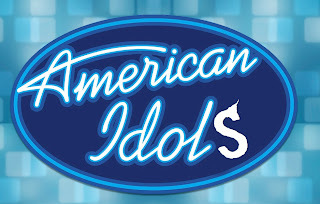 In the meantime, we're in the middle of a sermon series called "American Idols." Click here for more, including recordings. I've not preached this way before: either topically (leaving the lectionary) nor as prophetically. It's going well so far, but to this point, there have been no topics that will bring much dissention (busyness, the moment & instantaneity, and success). We'll see how it goes when we get to legislative morality, democratic freedom, family time, and the Bible. The hope is that coming through this series...we will all rely more upon God and one another. Our pregnancy is going great. The difference between our first pregnancy and this one is slightly humorous. We're having a great time, don't get me wrong - I love feeling his movements when Meg and I are just chilling together. And the notion of what's happening in her belly continues to blow my mind. But it's surely different than the first. I can't believe how quickly this is going. We're less than three months away from his arrival. As for a name...we're at a loss. Any suggestions are welcome. The kids are growing quickly and amazing me each day. Just yesterday, Brooklyn went out with me to visit some people and I was taken back by her knowledge of animals as I watched her read a book with someone. I just didn't know she knew that many of them. And both she and Brenna are singing ABCs (albeit not too enunciatively). The twins turned two and a half on the 1st. Brayden's almost four and a half and still incredibly smart and programmatic. He'll be going to "school" again for two days a week this fall. As advanced as he is with reading (and now math! ), he is definitely behind socially. We look forward to more social structure for him. Tomorrow night, I'll be a guest on a podcast called "Three Philosophers," but it isn't your academic notion of philosophy. Feel free to search for the podcast, but be forewarned that it's raw. I've enjoyed listening to these guys - they're honest, not afraid of dialogue or being wrong. Two of them are Christians, however disillusioned. The third is an atheist. I'm being brought in as they discuss the future of organized religion (we'll see where it really goes). Anyway, I'm not sure I meant to write this much, but thought I should have something up here. Peace. Your wrong! Summer rocks! Heating a home isn't cheap either. Nor are the sunsets as nice in VT! Can't say I disagree with you about your points on society.